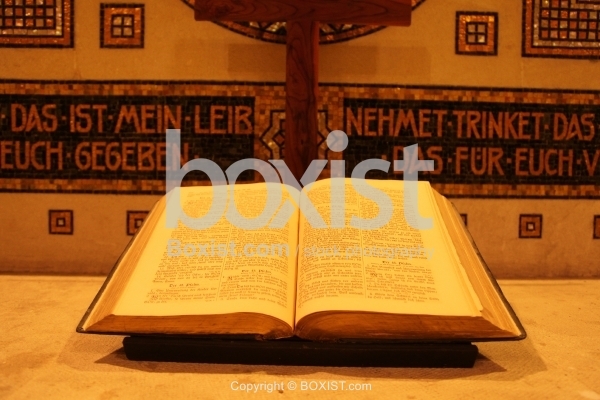 Large Open Book of the New Testament Christian Bible On The Altar Inside Church. JPG: 5616x3744px @ 6.31 Mb. 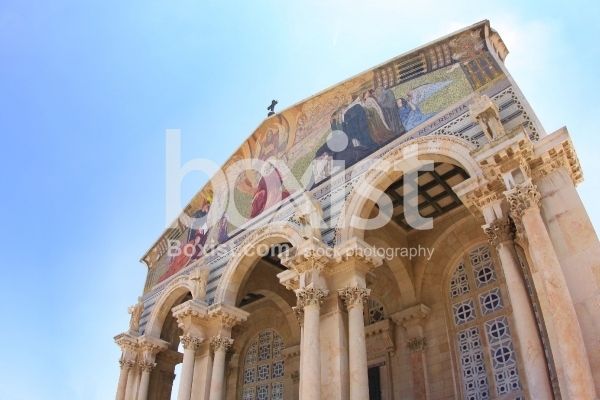 Ancient Mosaic Inside the 4th Century at the Nativity Basilica in Bethlehem.